Dishaapro is an excellent institute in Bhubaneswar where I have completed my digital marketing course. Studying digital marketing wouldn’t be this much easier and experiencing without the generous and intellectual faculty. The faculty is really helpful, especially Subhra ma’am who taught us. The practical sessions provided here are really helpful in acquiring a good knowledge of this course. The teaching process in Dishaapro is simply unique from other Institutes. Here you can get the real time practical experience, which is usually not provided in other training institutes. The faculty members teach you about the latest market trends and techniques, which can help any company to grow their business. 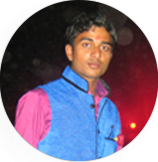 Whatever practical knowledge I have gained from Dishaapro, I have applied them to my Blog indian Biographys and generate more traffic to it. I am very happy that I was a part of this academy that has linked me with the digital world. Thank you DishaaPro for always encouraging me to learn more & more with the simplified techniques. My best wishes for DishaaPro. Keep doing the great job.